As a parent, you have to be a jack-of-all-trades. You need to be a cook, educator, provider, protector – and oh so many more things! At a certain point, there’s just not enough time in the day to do everything you’d like to do. But you can save quite a bit of time, effort and sanity on small things by using browser extensions – sometimes also referred to as “plug-ins” or “add-ons”. They’re simple to install and can be accessed (whenever you want) right from your address bar in your browser across multiple devices. I’ve put together a list of 12 browser extensions I consider to be the best. Why not give them a try and let me know how you get on! A quick heads-up: The vast majority we link to are for Chrome, but many also have a Firefox version. If you’re on Internet Explorer, Safari or Opera, you may have a little more trouble. Who would have thought it? A browser extension can contribute towards a healthier you! In 1879, the world changed forever. That year, the light bulb was born and Thomas Edison’s life altering invention swiftly became ubiquitous in much of the world. Our natural body clocks or circadian rhythms have been altered ever since. Until then our ancestors spent most of their evenings in (relative) darkness. We spend most of ours now illuminated by lamps or the by the blue light from mobile phones, tablets, and laptops. The body reacts to such stimulation of light by raising levels of cortisol – a hormone that, among many other things, is responsible for wakefulness and alertness during the day. On the flip side, in the pineal gland, melatonin (a hormone responsible for controlling sleep and wake cycles) is suppressed. The resulting loss of sleep or possibly more importantly, sleep quality can have serious health consequences. 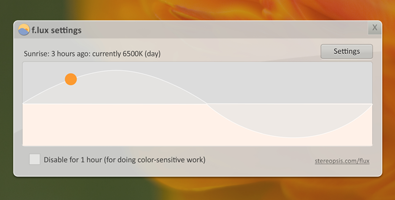 G.lux is pretty much the same thing but is a browser extension (so it will only adjust the color of your browser and not the rest of your computer apps). Firstly, it replaces Chrome’s “new tab” feature (which displays your most recent/visited websites in a tile-like display) with a beautiful daily image. This prevents an ever so common distraction from occurring. Although, each day, you’re in awe over the beauty of the image, you’re not presented with various website options such as Facebook, ESPN, Gmail, etc. to take you off course on a tangent. Next, a daily quote offers a powerful reminder of gratitude, self-belief and direction. It should be noted that I personally have eliminated the vast majority of options with this extension to avoid such things as stated above (related to distractions). Other options include weather, a to-do list and favorite links. Ghostery is a free extension that allows you to pick and choose which (if any) websites or networks can track you and your family’s online behavior. It works with most browsers and it’s extremely simple to setup and use. 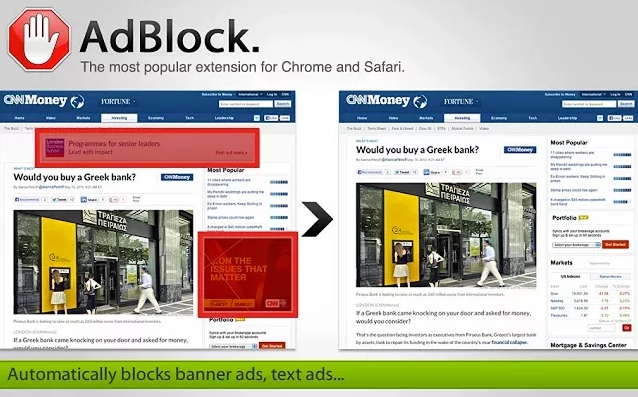 AdBlock allows you to easily block ads from appearing on Facebook, YouTube and all over the web. Additional functionality also allows you to prevent track – so it could bee seen as an alternative to Ghostery. 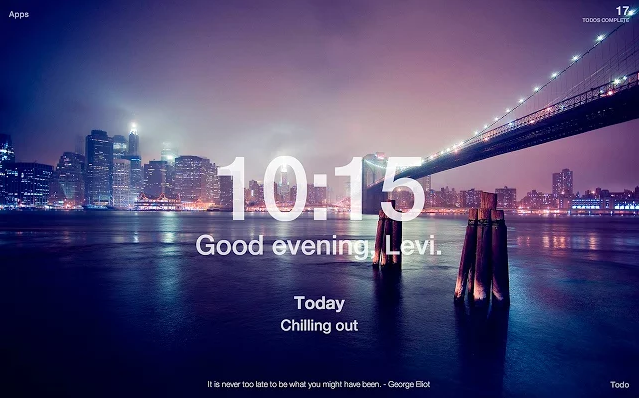 It’s one of the most popular extensions around boasting an impressive 40 million users base! Highly recommended. Are you still using yellow Post-it notes to keep track of your login information? Or even worse: You use the same password for every website? It’s recommended that your passwords at least be longer than 12 character using non-dictionary words, numbers and special characters. Do all of your passwords fit that bill? It’s understandable. Parent’s don’t have time to spend tracking and recovering passwords. 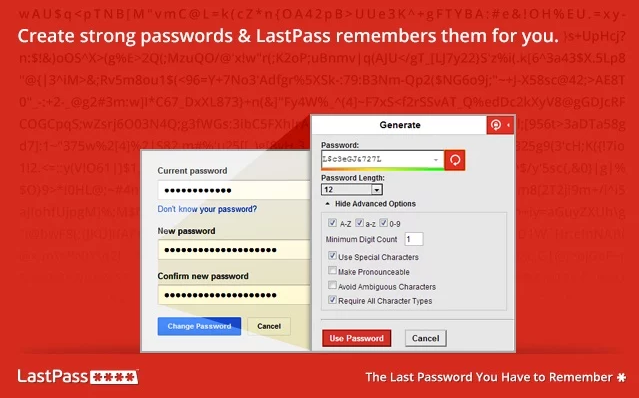 However, you could save yourself a lot of trouble from an ease-of-remembering and security standpoint just by using a password manager like LastPass. And trust me, you have way more accounts than you think you have. Use a password manager to securely store email, bank, car insurance, home insurance, mortgage, Netflix, credit card, AAA, Amazon, airline memberships, PayPal, Ebay passwords (and other information). 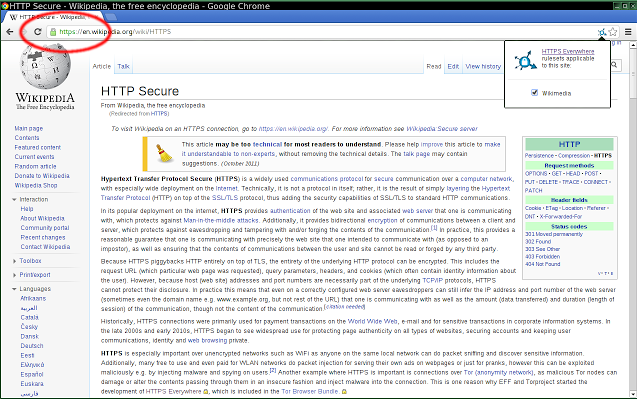 HTTPS Everywhere is a lightweight extension that aims to automatically connect you to the HTTPS version of a website as opposed to the standard less-secure HTTP. Don’t worry – that’s not directed at you! “F Off!” is actually a profanity filter. This extension aims to block all swearing on the internet so it’s clean especially for kids. There’s some debate whether this will help prevent kids from hearing swearing because they’re likely to hear it elsewhere. Nevertheless, it’s a popular extension that many people like and we definitely wanted to let you know about it. Online shopping is already used by the vast majority of Americans today. It tends to be easier, cheaper and in some cases faster! 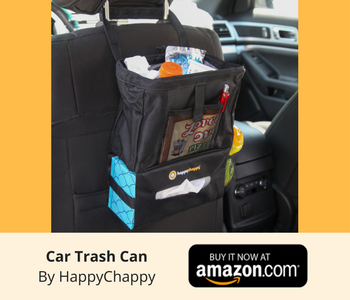 So why not continue to shop just the way you do now for your groceries, kids’ clothes, etc. but use eBates to automatically prompt you when there’s a coupon available (no searching around the web!) and to provide cash-back on purchases at most stores? Simple! Not a lot more to add to this one. We love it and every now and again we get a check with the cash-back we’ve earned. Perfecto. Stay on top of, well, everything with Evernote. This amazing application allows you to simply and effectively record notes and attach relevant images, audio, checklists, documents and PDFs. Granted Evernote is known more as a cloud application than an extension, but the browser extension allows you to “clip” web pages and save them for later or pair the clipping’s with an existing or new note. This one is super simple. 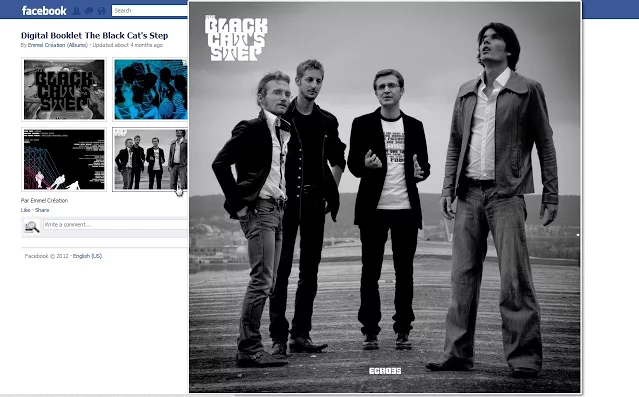 Remember how almost every time you end up on Facebook you get lost in an endless journey of scrolling and consuming? Well, this simply blocks all content from appearing on your Facebook newsfeed and displays a quote to remind you that time is finite. This REALLY helps cut down your time on Facebook so you can spend more time with your family! Again, ultimately we want to be spending the time doing things we love with the people we love. 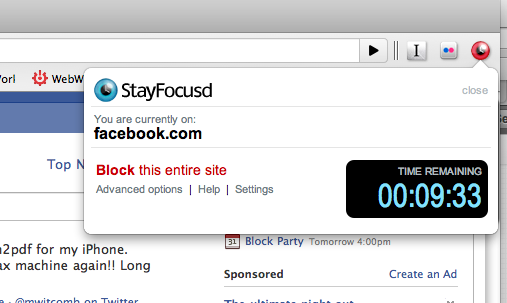 Get more of the things you should be doing with StayFocusd – a browser extension that blocks and limits time sucking websites. Don’t let your kid(s) continue to make fun of you! You know, when you squint or reach for your glasses each time you struggle to see something. Hover zoom is simple: It allows you to Zoom in on web images. 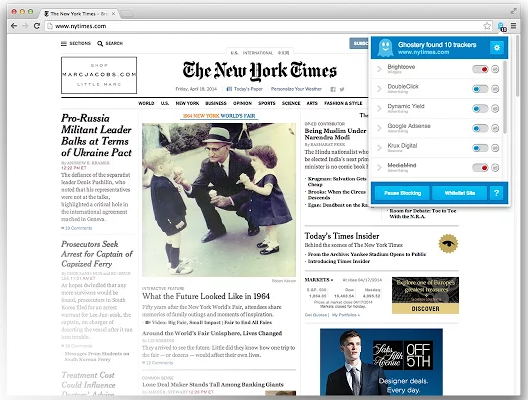 I’ve shown you 12 browser extensions that can make any parent’s life easier. Hopefully, you find them useful! I know that I’ve probably missed some great extensions—so don’t yell at me! Just leave me a comment below and let me know which extension(s) is your favorite.